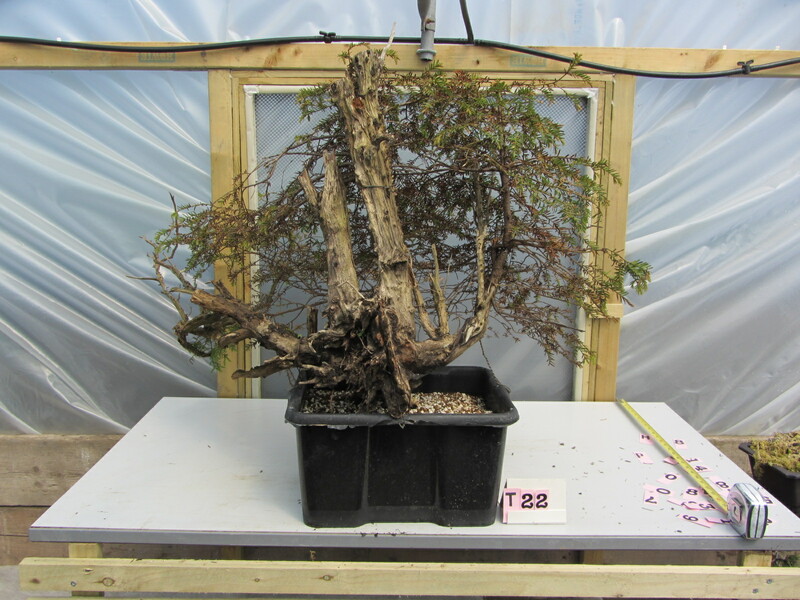 I collected this Yamadori Yew in 2011, the tree was very slow to establish in the first couple of years, this is due to the cambium layer being very thin because the hard growing conditions that the tree suffered. In the third year the tree thrives and this year the growth has been very strong. With very old trees such as this it’s important that you wait for the growth of the foliage to be robust and vigorous for the future development of the tree, start work too early and you could set back development or worse kill the tree! The work undertaken this week was to remove the thick upright deadwood branches, clear the smaller dead branches near the base of the tree and reposition the whole into the ‘final’ planting position. 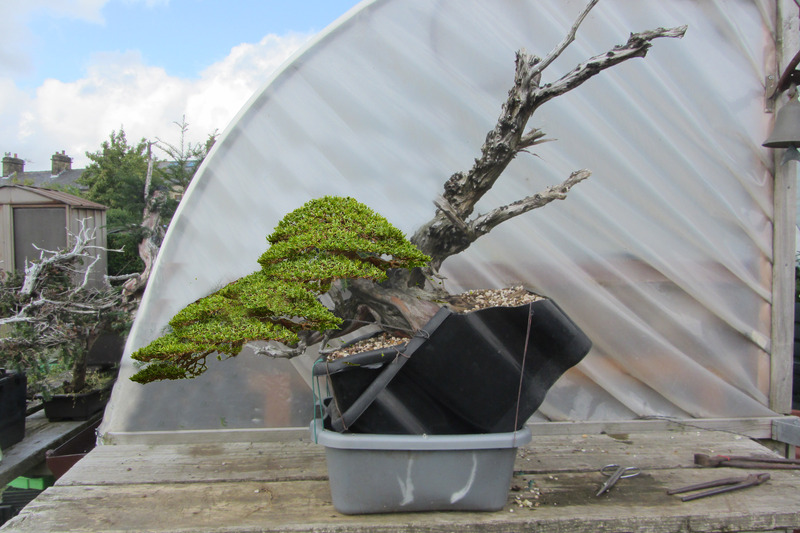 The tree will be left for a couple of years to extend and fill out the foliage mass. I will then work on the deadwood and finally sand blast to clean and smooth out some of the rough areas. 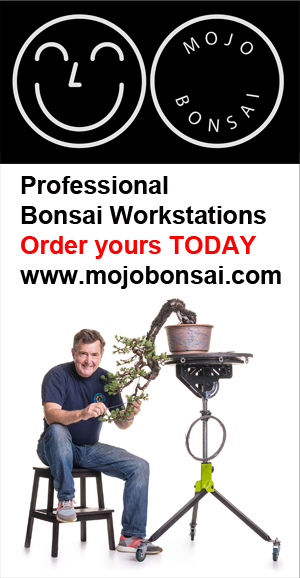 Then the first styling will take place, another year in the box and finally planting into a training pot. The foliage mass will take at least 10 years to achieve the virtual image… but I can wait if the end result will look something like this.